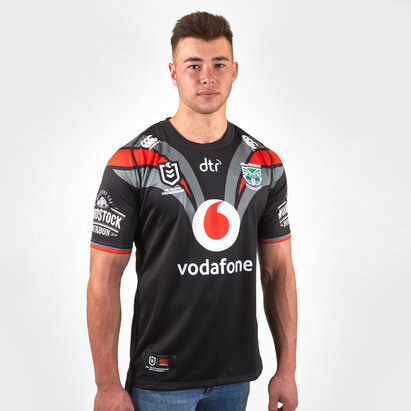 b* Show your support for the Warriors when you pull on this New Zealand Warriors NRL 2019 Home S/S Rugby Shirt from Canterbury. 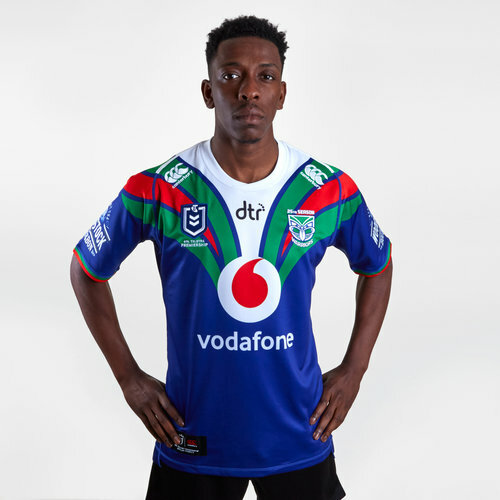 The club has mixed between blue and white kits to black and grey kits with their most recent kit colours being stated as black, white and red. 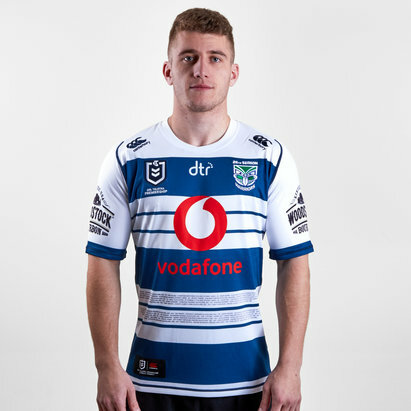 This shirt for 2019 is, however, predominantly blue. It feasters a green, red and white design that could be described as wings. The sleeve cuffs are also red snd green. 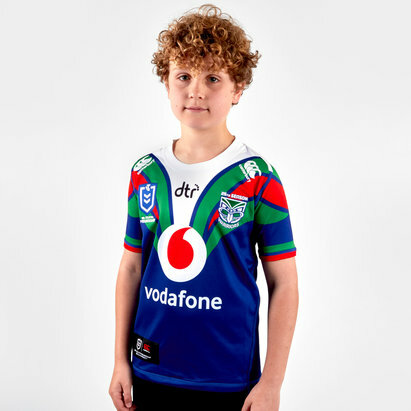 The team badge is on the left of the shirt snd the NRL badge is on the right. 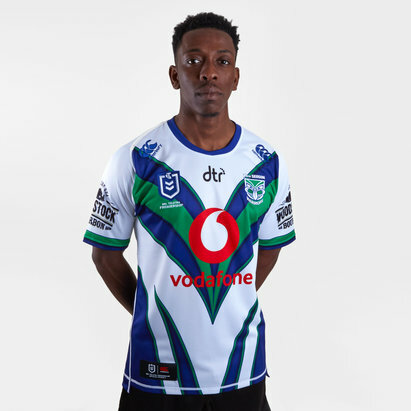 The Canterbury CCC logo is on each shoulder whilst the team's sponsor - vodafone - is across the middle of the chest where the "wings" shoot from.